The most popular and widely used option all over the industry: loose round beads. 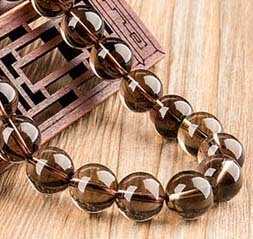 Our cheap yet highest quality hand-crafted materials include glass beads that are made of quartz, amber and agate as well as stone beads made of onyx, agate, amazonite, ivory and other materials. 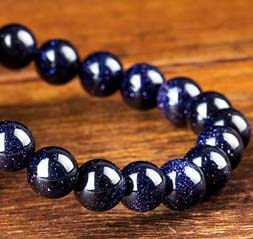 Spacer beads are used to separate or illuminate larger beads, giving your jewelry a piece of identity and character. This also makes bracelets a lot more comfortable to wear since spacer beads are lighter than big stone beads yet still fill enough space to cover the arm. Experience a new world of luxury with our handmade bracelets. Every single bead is hand crafted by a team of talented jewelers and then individually assembled only after the order was placed, resulting in the unique bracelet that was created specifically for you. Our beautiful, real stone necklaces are hand crafted to perfection. We are only one of the remaining jewelers that do not stock items. Instead, we use your provided bead measurements to start creating unique and personalized necklace from scratch, ensuring the bead and material quality. 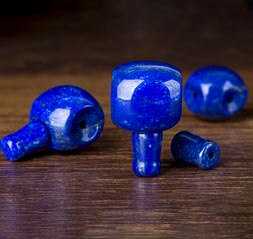 AiryCharm has the best loose beads from all over the world, including round, roundelle, barrel shape and spacer beads for all kinds of jewelry. We are one of the very few suppliers who can supply with both unlimited quantities of wholesale beads and small quantities of beads for people looking to create their own jewelry. Do it yourself kits are also available for as low as $9.95. Our inventory currently covers glass beads (amber, citrine, phantom crystal), stone beads (tridacna, moonstone, blue vein stone), wooden beads, various metal beads (such as silver) as well as gems and mantra beads. 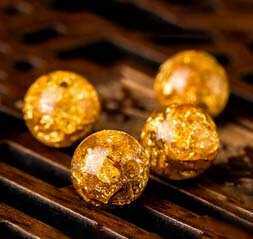 For more than ten years, we have been manufacturing highest quality, cheap beads that are used all over the world by well-known fashionistas and industry leading jewelry stores. This is not an accident, it is a direct result of our hard work crafting and perfecting all kinds of products. With over 100 loose beads to choose from, we are here to satisfy even the most demanding wholesalers and retailers needs. AiryCharm accepts both wholesale and retail customers, with no minimum order requirements and worldwide shipping. For clients in a hurry, we also offer expedited shipping. You can always count on our quality and affordable loose bead prices. Buy Cheap Loose Beads from AiryCharm Today! Are you ready to find out why multiple customers shop from AiryCharm and go with us as their exclusive beads store? We have one of the highest satisfaction rates in the industry, and since every single bead is checked before sending, you can expect to see the quality that you have never seen before. We are not third-party sellers, instead, we are a true, bead dedicated online store that offers lowest, wholesale prices for even the smallest quantities. However, don’t take our word for it, buy any of our loose beads today and see for yourself.